Nordic Style have long since been involved in the development of beautifully crafted, traditional Swedish Interiors. We have always enjoyed the light tones of Scandinavian furniture design, Carl Larsson (1853-1919) as our inspiration. Carl Larsson popularised the bright and airy finishes to counteract the Scandinavian winters which are long and dull with a lack of natural light. The Winter months are fast-approaching and light is certainly key to a happier environment during this period of gloom! The Swedish Style that we love brings the light into the home and suspends the darkness till Spring. Nordic Style Interior Design Service incorporates this traditional style into the new home, check out the Interior design page to see the most recent of our Swedish interior projects. 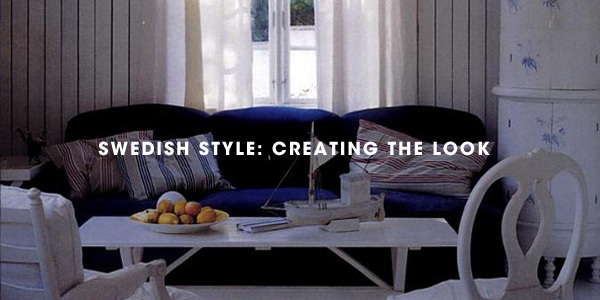 If you are interested in all things Swedish styled, you should consider buying the book from Katrin Cargill, ‘Swedish Style: Creating the look’. This is a superb account of the history of the style and the key players who helped sculpt everything from the colour palette to the hand-carved accents that are now the mark of the style. yeah me too. Ced, you can also try, ‘Swedish Interiors’.